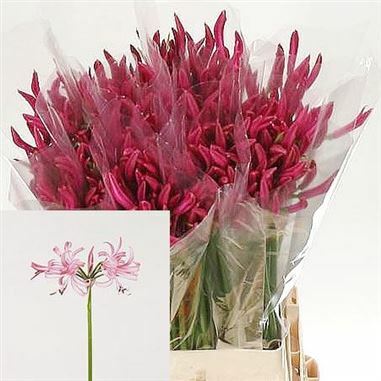 Nerine Favoriet, also known as guernsey lilies, is a Pink cut flower. It is approx. 60cm and wholesaled in Batches of 50 stems. Nerines, (also known as Guernsey Lilies), are closely related to hippeastrum and are a member of the Amaryllidaceae family. Nerines are native to South Africa.